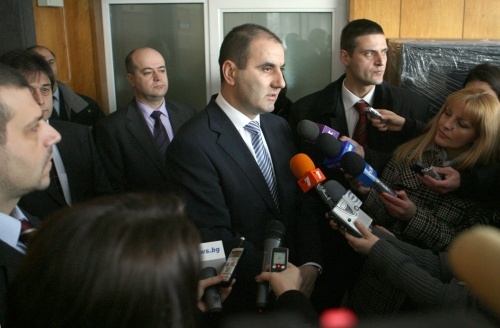 Bulgaria's Interior Minister, Tsvetan Tsvetanov, blamed once again Monday the judicial system for the acquittal of alleged crime bosses, Krasimir and Nikolay Marinovi aka The Marguin Brothers. Tsvetanov said the reason for the not-guilty verdict are the courts which still need to undergo the much anticipated judicial reform. “But the verdict is here and we must comply with it regardless of our likes or dislikes; this is the rule of the Court. I hope to see guilty verdicts in the other upcoming high-profile criminal cases,” the Minister stated. When asked by a reporter if the acquittal was due to lack of solid evidence in the case, Tsvetanov declined comments. On Monday, the Sofia City Court issued a non-guilty verdict for The Marguins, who, along with four other defendants, were charged with plotting three murders.